Kingfisher Sponsors Classic & Sports car day. Kingfisher were delighted to donate the print for the days programme in aid of St Nicholas Hospice. 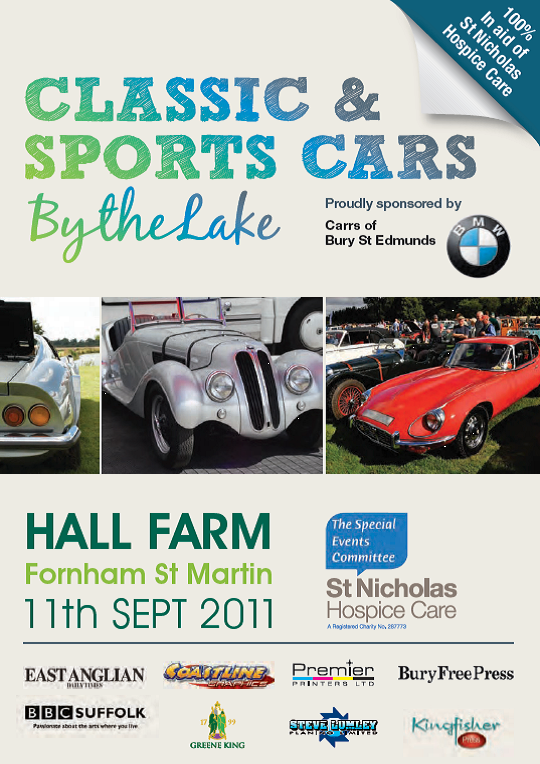 I just wanted to send the hospice’s sincere THANK YOU for printing the programmes for our recent Classic Car show. events, all of which goes towards caring for over 300 people at any one time across West Suffolk. Thank you once again Paul, it is greatly appreciated by everyone here at St Nicholas Hospice Care. Kingfisher are delighted to sponsor such a worthy cause and wish the fundraising team all the best.